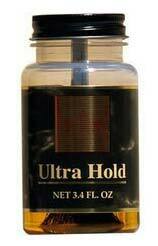 Get in touch with us for acquiring our range of Ultra Hold Wig Glue. Our Wig Glue is appreciated by customers as it provides a strong bond to ensure extended wear without the stress of breaking. We are capable of addressing bulk requirement of buyers with ease. We are an illustrious Manufacturer, Exporter and Supplier of Ultra Hold Wig Glue from Delhi, India and known for our fair pricing policy.